Black Friday Gaming Deals 2018 – 85+ Xbox One, PlayStation 4, and PC Deals! No matter if you like to play games on your PC, Xbox, or PlayStation – you’re in for a big treat. Black Friday 2018 is poised to become the ultimate opportunity to buy a new console, upgrade your PC, or simply get a new high-profile game. So, we’re here to help you navigate through hundreds of deals and find only the best ones. Let’s talk about the best Black Friday gaming deals. First, we’d like to advise you to check our Black Friday 2018 article where you’ll find categories other than gaming. That is our central article where we’ve listed more than one hundred deals so far. And now, let’s talk about gaming. Black Friday Gaming Deals 2018 – Top 85+ Best Deals! Our goal with this article is to create a comprehensive guide to buying a new console, PC components, accessories, and brand-new video games. So, we’ve taken our search to Amazon where we’ve discovered a plethora or interesting deals. After checking all of those, here are 85+ of the best Black Friday gaming deals. Microsoft has decided to up its game and offer standalone Xbox consoles as well as bundles. You’ll be happy to know that Xbox One S and Xbox One X come with all-new low prices. If you’re on the market for a new controller, now is the right time to buy. 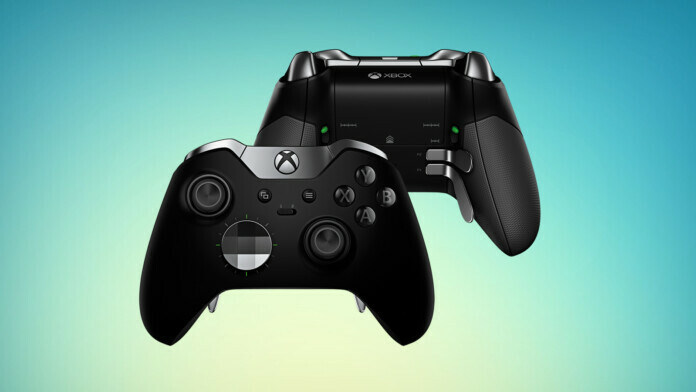 There’s a nice set of Microsoft-made controllers, including some special editions. Take a look. To make your gaming experience the best it could possibly be, you can rely on accessories. Not many of them are on sale right now, but we managed to find 5 interesting picks. Needless to say, Sony isn’t willing to let Microsoft take the crown this Black Friday. So, you have several interesting PlayStation 4 combinations in front of you. We’re happy to tell you that Sony is offering a nice selection of controllers with steep discounts of up to 40%. In addition, the company’s Mini Wired Gamepad is also on sale. We wanted to diversify this category, so we found a bit of everything. This includes special remote controllers, hard drives, headphones, and more. Even though Nintendo’s Switch console is currently on sale, the company is offering its old classics at low prices. If you already own a Nintendo Switch, now is a good time to buy some additional controllers. When playing your favorite games, you want to hear everything that surrounds your digital world. So, having a quality pair of headphones will certainly come in handy. Here are some of the most attractive deals for you to check out. The best way to put to a good use your new console is by playing an AAA game. Lucky for you, here are 5 high-profile titles that are on sale right now. And now, here’s something for PC gamers. We’re sure that many of you are on the lookout for a new graphics card. Well, we’re sure you’ll find something interesting among our Black Friday gaming deals. Let’s see what we’ve prepared for you. First, we’ll take a look at GeForce graphics cards. Of course, there are more graphics cards out there that aren’t powered by Nvidia’s technologies. So, we owe you a set of AMD-powered graphics cards. And finally, to make sure you take full advantage of your new graphics card – you need a capable monitor. There’s quite plenty to choose from, but we’ll help you narrow down your list of options. So, let’s take a look at the best monitors in our Black Friday gaming deals article. Dear readers, this is where we conclude our article on the best Black Friday gaming deals. If there’s something you’d like to share with us, don’t hesitate to post a comment below. And if you made it this far, why not share this article online? You can also follow us on Facebook and Twitter. Thanks!